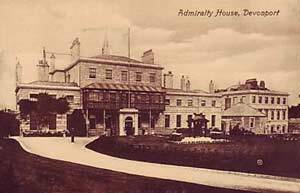 SELLER'S DESCRIPTION: Admiralty House. Published by Valentine. Postally unused. Good condition. 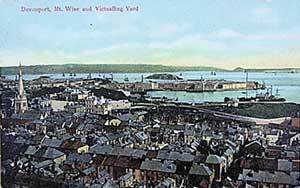 SELLER'S DESCRIPTION: A superb coloured view of Devonport, Mount Wise and the Victualling Yard in the 1920's. The card has been printed by Misch & Stocks 'Camera Graphs'. Series 576/1 Devonport. The card is in excellent condition with a clean back with no staining, only minor bumps to the corners and two small areas of chipping to the top right hand edge. 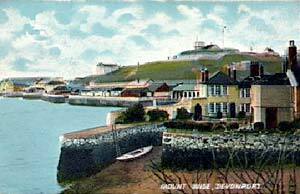 SELLER'S DESCRIPTION: Mount Wise Devonport c.1910. Published by Frith. Postally unused. SELLER'S DESCRIPTION: BATHING AT MOUNT WISE. 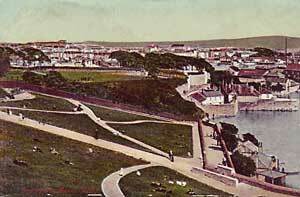 This postcard has been written and postally used. It has a halfpenny stamp, indicating it to date from the early 20th century. Postmark is from Devonport. Published by Welch & Sons, Portsmouth. Minor corner wear, generally very good condition for age. SELLER'S DESCRIPTION: MOUNT WISE. Hartmann, 2773-2. A Lovely old card, in very good condition. Postmark 1904. 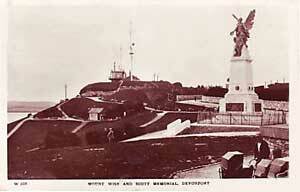 SELLER'S DESCRIPTION: Mount Wise & Scott Of The Antarctic Memorial. A real photo postcard published by WBP. 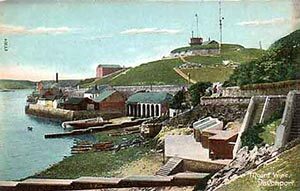 Posted from Plymouth in 1925. Good condition. 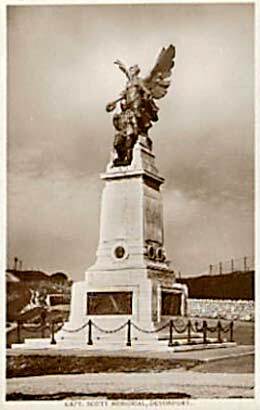 A memorial erected to the memory of Captain Robert Falcon Scott who lived in Plymouth. Card 1. No named publisher. Postally unused. 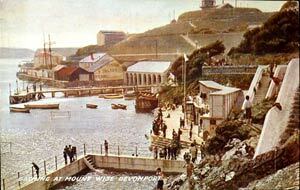 Unusual view from Mount Wise looking towards Stonehouse and the Victualling Yard. Card 2. Postcard of Mount Wise postally unused and printed in Prussia. No marks on reverse. PRICE REALISED: £16.00 for the 2007 sale. £9.16 for the 2009 sale. 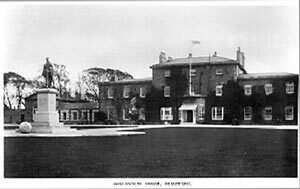 SELLER'S DESCRIPTION: Government House. Real photo postcard c1908 by the publisher A.P.P. & D. The card is not postally used. Item is in good collectable condition. SELLER'S DESCRIPTION: Capt Scott Antarctic Expedition Memorial, R/P Postcard original 1926 old real photo postcard of Capt.Scott Memorial,unused in good condition.